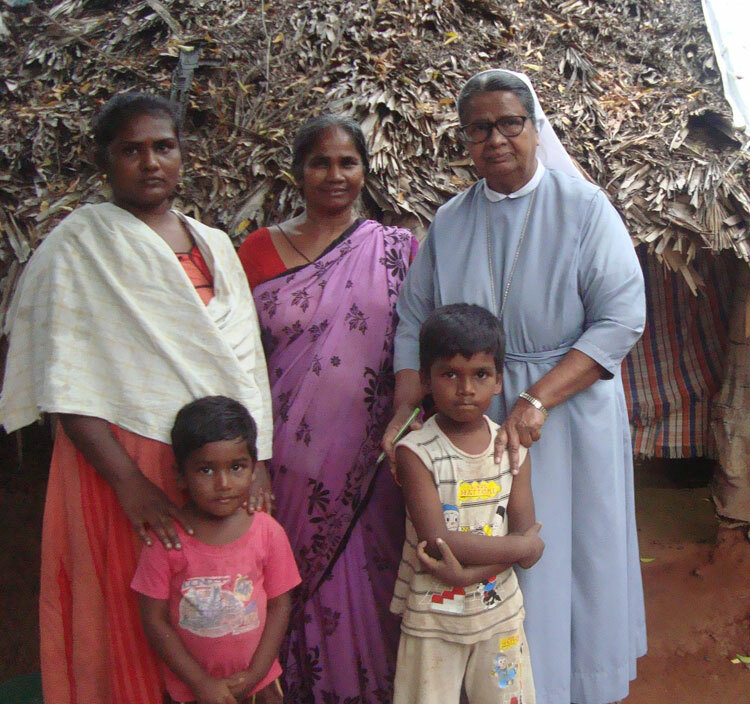 Sudharani is an HIV mother with two small children. Her husband and mother-in-law are also infected. They live in pitiful conditions that you read more about below. If you wish to sponsor this desperate family, please fill in the amount you will contribute each month below and click on ‘Add to Cart’ to make your first payment through PayPal. Thank you! Sudharani is poor deserving young woman who belongs to schedule caste. She and her husband, Srinu, have two children. Rohith, the eldest son, aged 5 is going to the nearby local Government School and studying in 1st grade. Akshith, their second son, aged 3 goes to the nearby Government Aganwadi (Kindergarten). Both children are very active and intelligent. With proper attention and care, they could have much potential. However, both Sudharani and Srinu have HIV. Srinu is very weak. He is a cycle rickshaw puller and his health condition is too poor to carry-out his work. Sudharani is also ill but she still goes out and works whenever and wherever she can find a job. The family is living with Srinu’s mother, Mahalaxmi. She is a widow – her husband passed away few years back due to HIV as well. Mahalaxmi tries to help earn funds for the household but she is also infected and only able to go for odd jobs. Everyone lives in a Government colony in a dilapidated hut which may give way at any time. The roof of the house is thatched with a kind of palm leaf which has to be renewed every year. This has not been done and is fully worn-out. The hut consists of two rooms, electrified according to the village system. Cooking is done outside. Public water is available adjacent to their house. 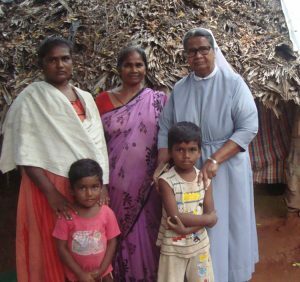 Sudharani wants to care and give a life to her little kids. If someone stretches their hand to sponsor this family, she could sell rice and other necessary food stuffs and enjoy the rare privileges offered by the FFA to reach the goal of self-reliance. This rare offer will turn in to a blessing to this family to earn their livelihood and reach self reliance in near future. She will be ever grateful.